Every day, Aiden Bishop awakens in the body of a different houseguest at Blackheath, the sprawling and derelict country estate of the Hardcastles. 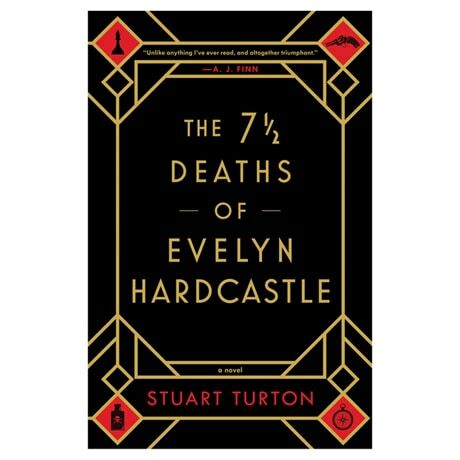 And every day, for eight days, Evelyn Hardcastle, daughter of Lord and Lady Hardcastle, will die, until Aiden uncovers her killer. Failure means he'll be stuck in the hell that is Blackheath for eternity. With no memory of what came before his first host, and unable to trust anyone, Aiden struggles to fit together the clues he leaves himself before it's too late. With compelling non-linear storytelling and complicated, fascinating characters, this twisty whodunit grips you from the first page and refuses to let go as it barrels toward its shocking end.